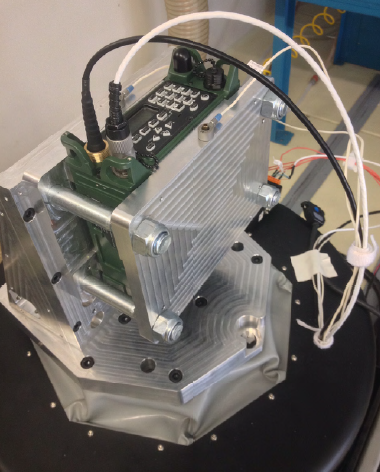 The Sat-Com environmental test lab was required to test the mechanical robustness and environmental capabilities to meet MIL-STD-810G. All product testing is done in house to enable a much faster turn around to verify improvements and new mechanisms. 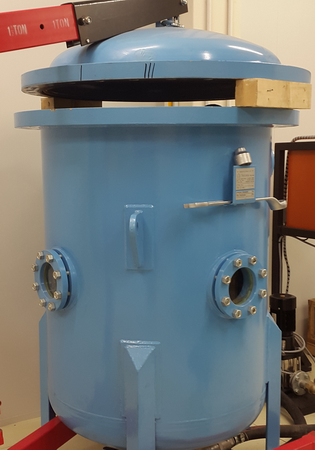 The immersion test is performed to determine if the product can withstand immersion or partial immersion in water (e.g., fording), and operate as required during or following immersion. 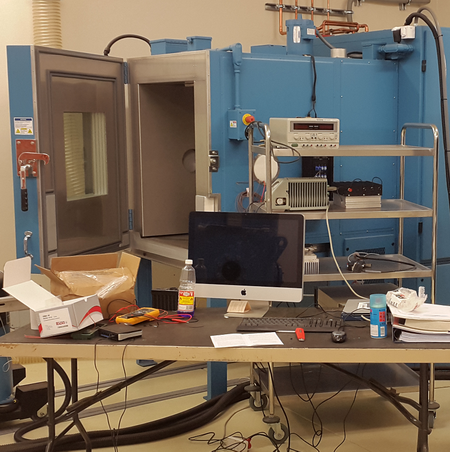 The Drop test bench is capable of repeated and accurate drops of a device under test. Mils STD requires the device to survive and be fully operational after 26 drops. The 26 drops is the total of all faces, edges and corners. Testing equipment to survive typical vibrations and shock will ensure they remain operable under all circumstances. Standard MIL-STD vibration and shock waves are induced in all 3 axis of the equipment to test for survivability, identify and weak points and fix them. Mist/Water Spray is also done in this bench to test material degradation under prolonged periods.